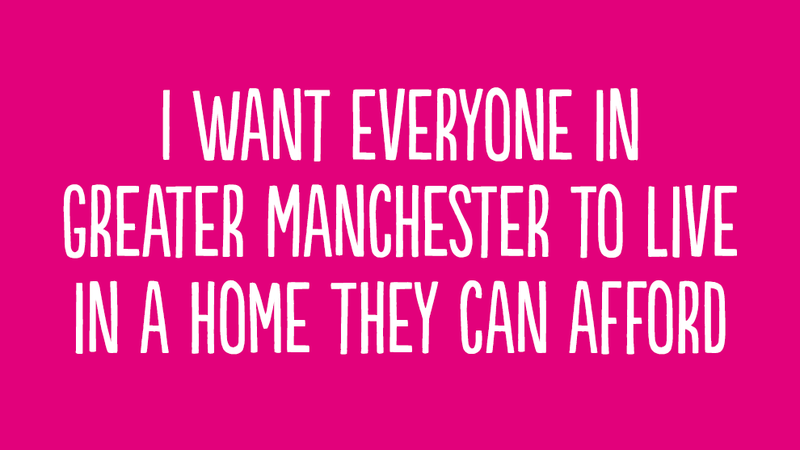 Greater Manchester Housing Providers have launched a campaign for everyone in Greater Manchester to live in a home they can afford. The campaign is calling on the new Mayor, the candidates, council leaders, councillors, MPs and local people to back this pledge. To make this happen we have produced a series of campaign resources for you to promote and share. Our campaign has persuaded almost all of the political candidates aiming to be the Mayor the of Greater Manchester to back our campaign call for everyone in Greater Manchester to live in a home they can afford. This final push, we hope, will keep housing on the agenda up to polling day on 4 May and beyond. On Thursday 4 May, Greater Manchester votes for its first directly elected Mayor. It’s vital that housing is a top priority for the new Mayor. We want local politicians from across the city region to commit to writing to the new Mayor for Greater Manchester following the election on 5 May. 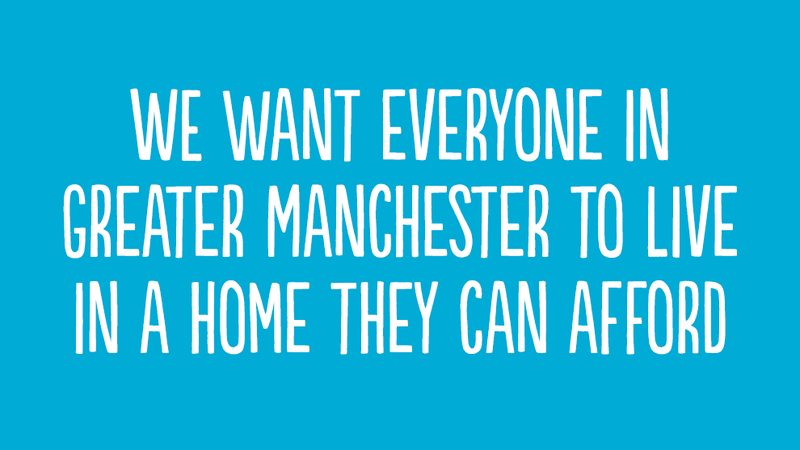 It will be loud and clear that housing is the top priority if there are hundreds of letters and emails from local councillors from across the city region, on behalf of local people, calling on new Mayor to now ensure that everyone in Greater Manchester to live in a home they can afford. 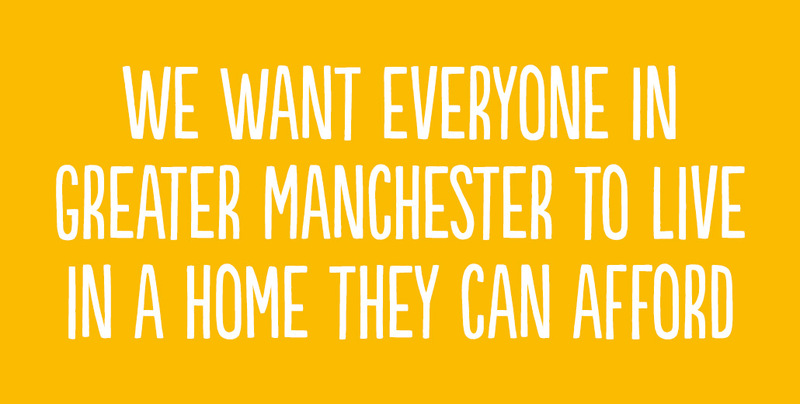 This action is only for people who live in Greater Manchester. Add your details below. You will then be given a list of your local councillors. You can then send them an email asking them to write to the new Mayor. Download and share the campaign graphics on day of the launch. Click the thumbnails below to download the high res images. Why not tweet @ your local council leaders, councillors and MPs? We will be emailing all Greater Manchester politicians on the day to make them aware of our campaign launch. Complete campaign pledge sign-up form to support the campaign. You can also host this form on your website and/or intranet. It’s simple, just copy and paste the code below into an iframe, just like embedding a YouTube video. Then promote it to your staff, tenants and local politicians. The following candidates and politicians have pledged their support. Election Purdah starts on Monday 27 March 2017 for the mayoral election in Greater Manchester. These rules prevent Councils and the Government from participating in certain activities during an election period. There rules do not govern housing associations. Arms length management organisations should seek advice on their activities with their Council's legal department. Local politicans and MPs can still support and back campaigns where as Councils can not. For example, in naming supporters of the campaign in media and social media, we shouldn’t say ‘Cllr Kevin Anderson, Portfolio Holder, Environment, Wigan Council back our campaign’ but should say ‘Cllr Kevin Anderson back our campaign’. And so not referring to Council held position. We can still state that MPs and mayoral candidates back our campaign. The LGA have produced some advice on Purdah.